But how many parents actually talk to their kids about how to lead a happy life and what it actually means to be happy? 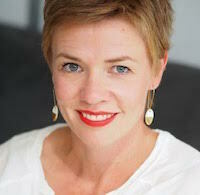 Ellen Jackson from Potential Psychology is The People Potential Specialist. She writes about human experience and why we do what we do on her blog as well as coaches, teaches and helps workplaces to contribute to individual happiness, resilience and productivity. Ellen’s online self development course Find Your Groove runs several times a year and she shares a weekly newsletter with tips, tools and free positive psychology and wellbeing resources. I’m so excited to have Ellen as a guest on the blog today to talk to us about happiness and how we can help our kids understand its role in our lives. Why is it important for parents to talk to their kids about being happy? ‘I just want my child to be happy.’ It’s what most of us say when asked what we hope for our child’s future. Then we leave that happiness to chance. We talk to our kids about their feelings if they are sad or fearful or angry or anxious but we rarely help them to cultivate happiness. We’re not proactive about happiness because it’s not something we’ve been taught to do ourselves. We see it as something that you just are, or are not. Being happy is a skill that can be cultivated and the earlier we teach our kids that skill, the sooner happiness, resilience, optimism, productivity and contentment become a habit. We set them up for a positive life. Positive psychology is the science of happiness or living a flourishing life. Many schools are now exploring and implementing positive psychology programs, either in full or in part. The most common topics emerging from these programs are mindfulness, resilience and strengths but other topics include gratitude, kindness, hope and optimism. If you have kids at school who come home talking about mindfulness or meditation, for example, learn more about the topic yourself. That was you can practice the skills and use the language at home. This will help to reinforce it. You’ll benefit too. Gratitude discussions are another simple activity you can undertake with kids. If we ask them (and ourselves) what we are happy about or thankful for on a regular basis we begin to train our thoughts towards what is good in our lives. It creates a positive and abundant mindset – What’s good in my world – rather than a deficit mindset – What’s wrong in my world. You can start thinking and talking about happiness as a skill as soon as you have children. It’s a mindset that we really need to develop ourselves in order to model it for our kids. Then we can talk about it in age appropriate ways. For littlies: Ask them what makes them happy and talk to them about what makes you happy. Talk to them about being kind and strong and able to cope with challenges in life. Help them to develop their resilience by learning to do things for themselves. For primary-school aged kids: Meditation and mindfulness are great skills to learn at this age as they help with stress and anxiety. Apps like Smiling Mind are perfect for kids. We can talk to school aged kids about what they enjoy doing and what gives them energy – these are their strengths. We can remind them that everyone is different – that we all have different strengths and interests – and that uncovering and using your unique strengths and celebrating your uniqueness makes life good. For older kids and teens: Helping kids to see that every problem is surmountable and giving them the skills to solve problems themselves sets them up for a happier life. This is a great age to reinforce healthy habits like good sleep routines and regular exercise too as they also help us to stay emotionally well and contribute to our resilience and happiness. The KidsMatter program is a great resource for getting a better understanding of a positive psychology approach to teaching and raising kids. This is a great video to learn more about positive psychology. The Greater Good website provides plenty of information, research and activities for living a more meaningful life. 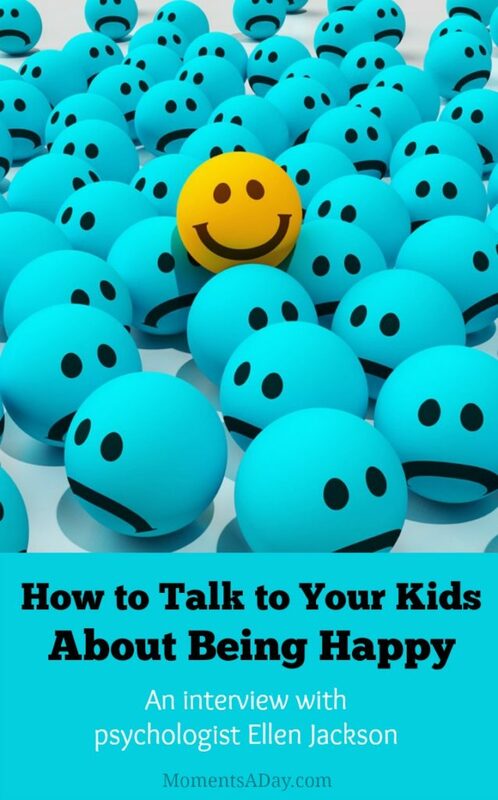 How do you talk to your kids about being happy? Any helpful analogies, resources or experiences you want to share? Find more great information from Ellen about positive psychology on Facebook and behind the scenes at Potential Psychology HQ on Instagram.